Just before diving in to the Beta 2 release, let’s pause and take a look at some major points from around the company. We are still hiring! We are also looking for Support Representatives, Project Managers, and Researchers, so if you are interested in working with us, please be sure to check our Jobs section regularly. Corona Renderer 3 for 3ds Max is on the way, with the Release Candidates already out as we work toward the final release. Don’t forget that Corona Renderer for Cinema 4D is based on the same core, so Beta 2 is already using the Corona Renderer 3 core! Over on Max, we’ve added NVIDIA’s GPU Optix denoising, which lets you use denoising during Interactive Rendering, optimized memory usage, and improved displacement (so you get better quality with existing settings, or you can save up to 50% memory by lowering the displacement quality settings but get the same quality result). Check out what is happening over on 3ds Max on our roadmap. Back when Beta 1 was released, we mentioned that we were doing some test integrations of Corona Renderer in another application – since then, testing has gone well, and we’ve been able to reveal that this is an integration of Corona Renderer for ARCHICAD. 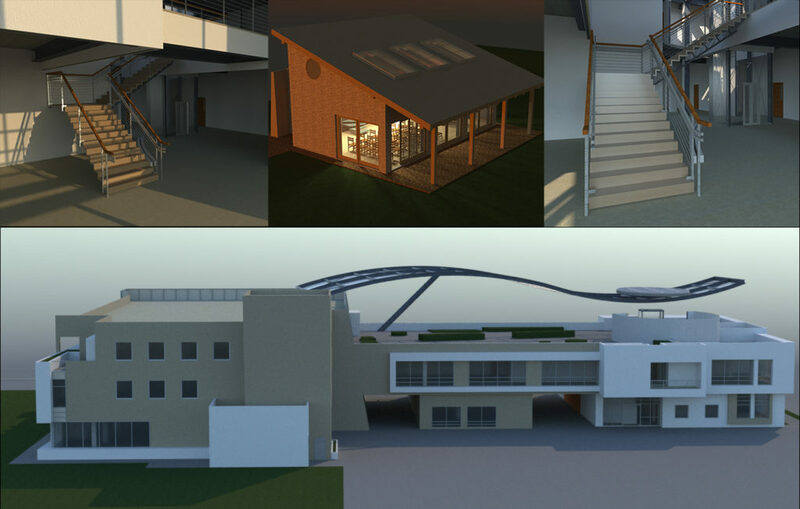 We’ve already got a lot up and running, including Interactive Rendering, Corona Materials, LightMix, and more. We’ll publish more news about this as soon (e.g. once you have access to a public alpha). With Beta 2 complete, we’re happy to announce that we have set the expected release date for Corona Renderer for Cinema 4D! If all goes to plan, you can expect the first commercial release around January 7th 2019 – more on the roadmap! And now all the new features and improvements in detail! Cinema 4D R20 introduced its own node materials, but these serve a very different purpose than the Corona Node Material Editor – the native node materials are a new type of material, a node material, and you “go inside” each of those materials separately to create and edit them. 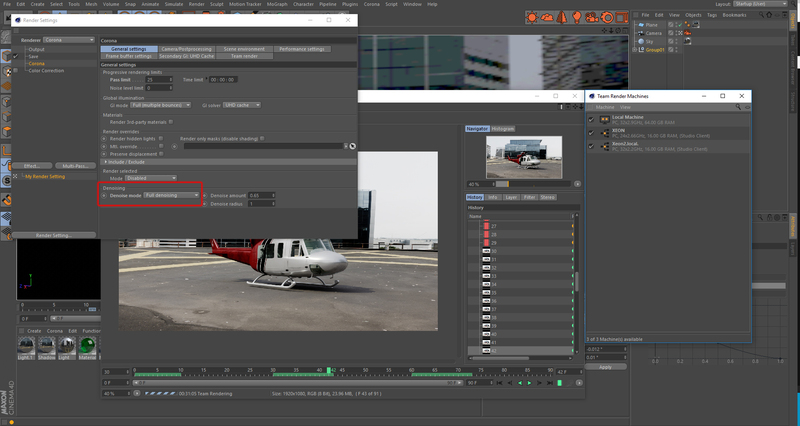 Our Node Material Editor is a way to view any of your scene materials – as many as you like at once – and then create or edit them using visual nodes, which greatly simplifies material creation. You can create as many views as you like, for example one view may contain all the wood materials, another all the metal materials, and so on – although how you use views is entirely up to you! 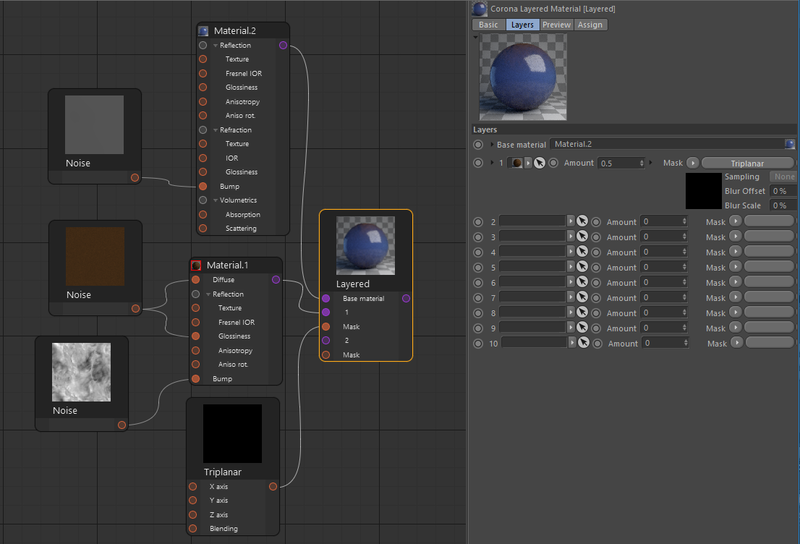 You don’t need to create a special material to use the Corona Node Material Editor. This means that any existing materials can simply be dropped into it, to take advantage of this visual way of working with them. It also works with native Cinema 4D materials and shaders, Substance shaders, etc. Natively in Cinema 4D, if you attach a Noise map to the Diffuse for example, then want to add the same Noise map to the Bump, you end up with two separate Noise maps and have to edit or adjust both whenever you want to change them. The same applied if you wanted to connect a shader to more than one material – you would end up with separate copies of the shader, and would have to modify the parameters in two (or more) places to keep things matching. The native Layer shader is a bit of a different animal from most shaders – for one thing, the number of connections to it can change depending on how many layers you want, and its UI changes accordingly too. 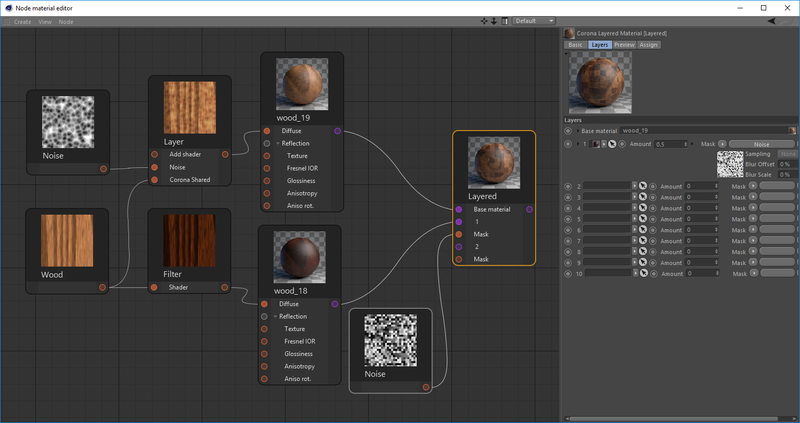 It took some clever work, but we have the native Layer shader working perfectly in the Corona Node Material Editor, including being able to use Folders! And you can use the native Layered material too – and mix and match all this functionality in any way you want. You can swap back and forth between how and where you edit your materials, without having to worry. It’s up to you how you want to work with your materials! As you’d expect from Corona Renderer, there are lots of features to make sure your workflow runs smoothly, such as auto-sorting of the node layout, select by selection box, CTRL + Drag to copy the selected nodes, and more. Skin is one of the most complex materials to render, with many properties unique to skin that cannot be covered in an all-purpose shader. The Corona Skin Material shader has been added, and it makes it easy to control and adjust the look of the skin, and renders fast and efficiently with realistic results. Even if you have never tried rendering realistic skin before, you’ll find it easy to use and will get great results with the default settings. Hair has particular unique qualities that also need a dedicated shader. 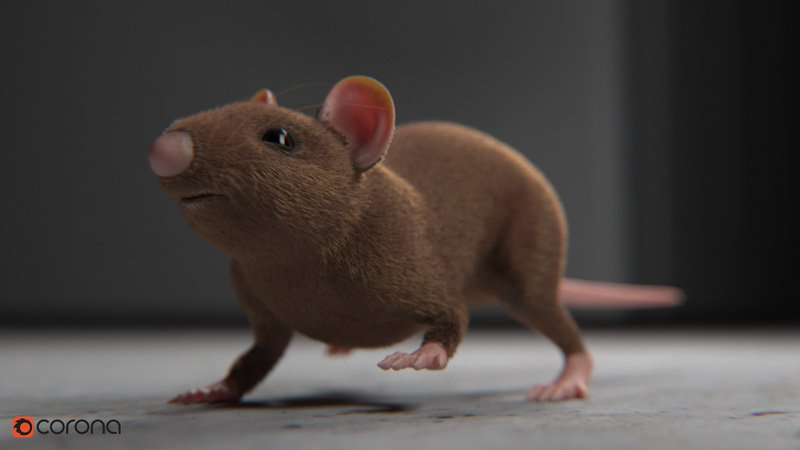 The Corona Hair Material shader is physically accurate, and handles the unique highlights and transmission properties that hair requires, while still rendering quickly and giving you the ease of use in controlling the material that you expect from Corona Renderer. 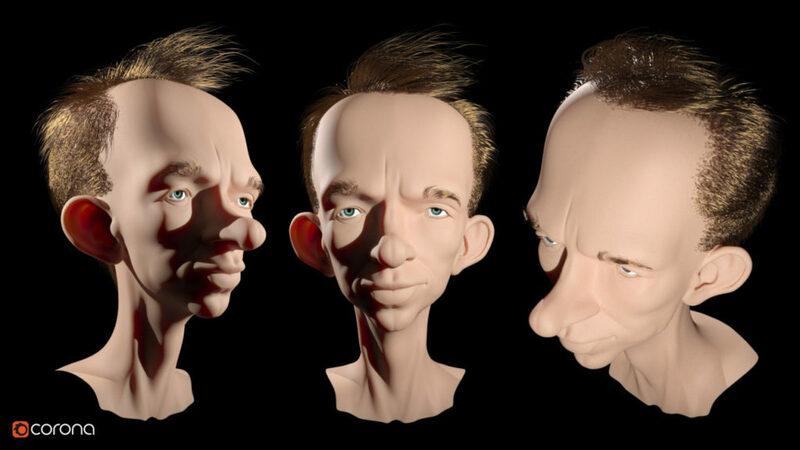 Cinema 4D has a somewhat unique approach to hair, in that the Cinema 4D Hair Material actually creates the hair geometry (rather than separate geometry creation and shading). To be able to render hair at the moment, you’ll need to use both the Cinema and Corona Hair materials together – this will be improved in the next release, when we will also fully support the Cinema 4D hair material by internally automatically converting it to the Corona Hair Material. 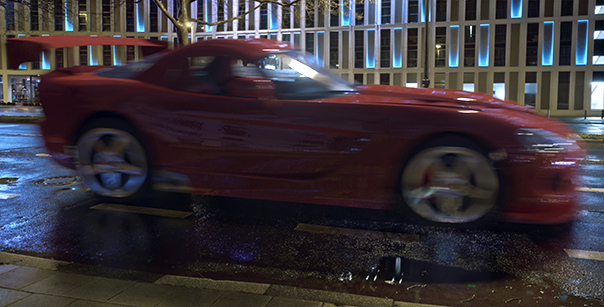 A new implementation of Motion Blur has been added, which works with both Interactive and offline rendering. This new implementation was required, as the old version was the source of some instability in Corona Renderer. This new implementation also properly supports simulation, and the motion blurring of instanced objects is greatly improved. 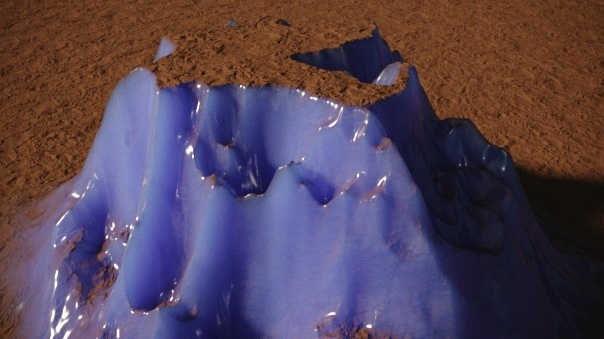 For explicit conversion, we support the conversion of standard Cinema 4D materials and lights, and the conversion of the following V-Ray items – Standard, Advanced, Displacement and 2-Sided V-Ray materials (V-Ray must be installed); Physical Sun + Sky, Area, Spot, and Omni V-Ray lights; and AdvBitmap and PowerShaders V-Ray shaders. Note – to be able to convert a scene from V-Ray, you will have to have V-Ray installed for Cinema 4D. Of course, a perfect conversion is nearly impossible. For example, Cinema 4D has lights that are not physically based, and when you use those non-physical options conversion is difficult because Corona Renderer doesn’t have counterparts for them. The same applies to certain parameters in some materials, and so some scenes may have quite different lighting after conversion because some materials that should be transparent may be opaque, for example. The main purpose of the explicit scene converter is to help you migrate your scenes to Corona Renderer so that you don’t need to set up your materials and lights from scratch and instead need to only tune the parameters after conversion. For implicit conversion, the main purpose is to let you check how the scene will look in Corona Renderer without having to actually convert it (it will give you an idea of what will convert perfectly, and what might need some tweaking after conversion). While no conversion will ever be 100% identical, we will be continually improving conversion based on user feedback! 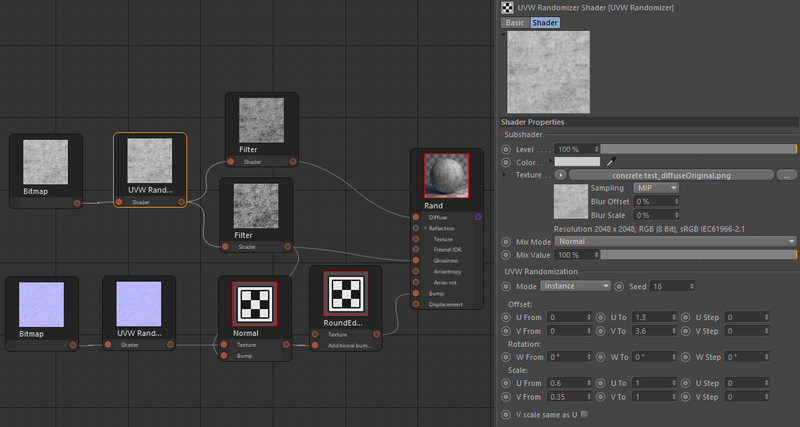 Triplanar mapping is useful for applying textures to objects without having to explicitly unwrap their UVWs. It prevents visible seams by introducing blending between the applied maps, and it does not produce stretching, which is characteristic to standard planar mapping. Positive values of Center Bias expand the bokeh into rings, while negative values compress the bokeh highlights. Positive values of Vignetting give a harder edge to the Bokeh toward the outside of the image, while negative values create a harder edge to the Bokeh highlights toward the center of the image. Anisotropy affects the aspect ratio of the bokeh effect, with values above 0 stretching it horizontally, and below 0 stretching it vertically. Team Render now supports Denoising, and stopping by Noise and Time limits. Both Windows and macOS installers now include a version of Corona Renderer for Cinema 4D R20, and it is automatically detected during installation so you can easily start using Corona Renderer without any problem. Note – there is no API from Maxon for R20’s Node Materials yet, so these will not render using Corona Renderer at this time. The final release date has been set for January 7th 2019, so now we are moving forward with that in mind. The aim will be to add the last remaining features, and then do a lot of testing to ensure stability. No additional Beta version is expected, so the next release will be the Corona Renderer 3 for Cinema 4D daily builds. You’ll notice that the naming will reflect the Corona Renderer core, so there won’t be a “Corona Renderer 1 for Cinema 4D” because the core is already at version 3. This will avoid any confusion about Max (or any other software) having a “newer” version than Cinema 4D. As always, follow our progress toward the final release on the Corona Renderer for Cinema 4D roadmap. We’d like to say a huge thank you to all of you in our community for your testing and feedback; you are all part of what makes Corona Renderer what it is today – and what it will be in the future! Nik, Ales, Cestmir, and the Corona Team! Pingback: POLYTRAIN NEWS: Storm, Materialize, Trapcode Suite 15, FumeFX 5.0. Hey Guys, i d like to know if its possible to make the glossiness reflection slider useable when i have a bitmap loaded , would be very handy to dial in the amount of glossiness directly rather then tune the levels on the bitmap itself .. thank you very much for all the work you put into this very nice renderer 😉 with best regards , tom. This looks amazing. Does Corona for C4D supports Motion Blur with Hair Dynamics? Thanks for the answer. I love corona and will be waiting for this feature for sure. I came across Corona on a forum randomly while searching for an alternative solution for Octane, because as a student, I can only access to my school’s iMacs, which doesn’t have N card GPUs. Started using Corona from alpha 6 if I remember correctly, and my skills in motion graphics grew with Corona (literally!) It means a lot to me seeing my favorite render engine getting better every day! Hope you guys are also enjoying making this as much as I enjoy using it! 2. I see you guys have the educational licensing option for 3ds Max. 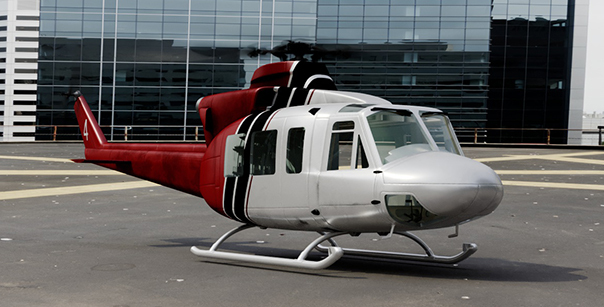 I just hope that it will be the same floating license for c4d too because it is AWESOME! Huge news, I’ve been waiting for that for years. Althought I have a question, does render node require team render to work ? To simplify the question, can I work in c4d prime on 1 pc and render on another pc with render node installed ? Yes, it requires Team Render to work, because the second machine can only be rendering using Cinema 4D Client (if a full version of Cinema 4D is opened at the same time as another full version of Cinema 4D, both machines would require their own separate full Corona license). The only way to control Cinema 4D in Client mode is through Team Render, either from within a full version of Cinema 4D or from within the Team Render Server. Thanks!